Here at MAG, we believe that children should never stop learning! Our curriculum is based on a continuous learning system without a starting or ending point. That is why we are pleased to announce our new open enrollment structure. Students may enroll in or withdraw from any available class at any time throughout the year, and will remain enrolled in class until either the parent chooses to withdraw the child, or the child is invited to advance to the next level. Please contact the MAG Office for more information regarding open enrollment or withdrawal procedures. An annual Membership Fee of $35 per student will be charged at the time of registration. The Red Wings program follows weekly lesson plans centered around having fun while building confidence through various gymnastics skills. Each class focuses on basic concepts, body positions, terminology and early skill development. This class is for girls six years of age and older, with no prior gymnastics training. The White Wings program is an enjoyable and rewarding beginner level. Classes build on the fundamental concepts mastered in Red Wings. 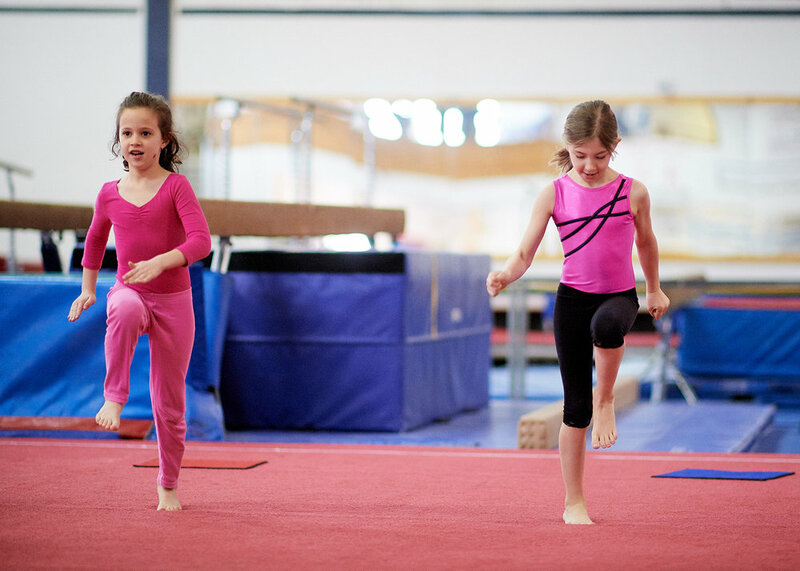 Lessons focus on progressive new skills that build confidence and lay the groundwork for advancing gymnastics. The Blue Wings program is an intermediate class for those students who have mastered the strength, flexibility and the fundamental progressions emphasized in the White Wings classes. Challenges through skills, strength and flexibility make blue wing and fun and rewarding experience. The Silver Wings program is an advanced class that builds a high level of fitness and mastery of recreational gymnastics skills. 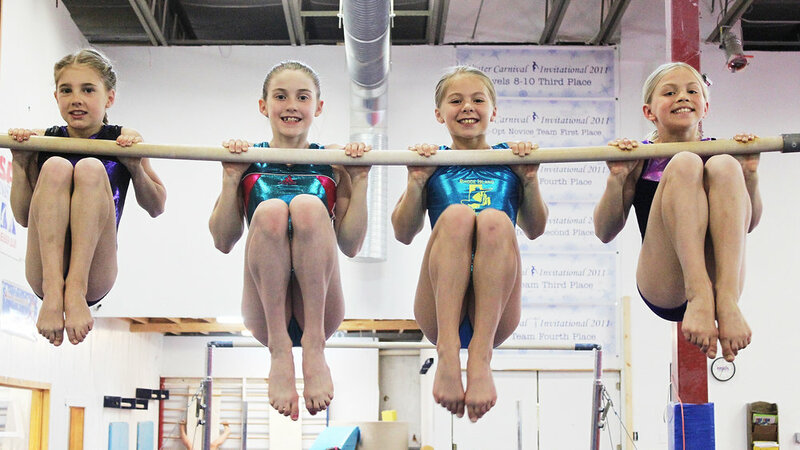 This level provides a fun and non-competitive curriculum of gymnastics sequences on each event, aerial skills on tramp and advanced strength and flexibility. The Gold Wings program is for the advanced gymnast who has mastered the Wings Program progressions. Students will be taught skill sequences on all Olympic events as well as continued ariel work on trampoline. This program will give students introductory competition development with a fun, challenging and non-competitive curriculum. Gold Wings meet twice a week and participation in both classes is required. After second light, turn right onto Terminal St; The gym is on the left.